That’s according to the judge in the case, and the development comes after months of drama involving the now shuttered filing-sharing website. U.S. District Judge Liam O'Grady made the proclamation while hearing arguments about deleting MegaUpload member files, which are enormously expensive to maintain. 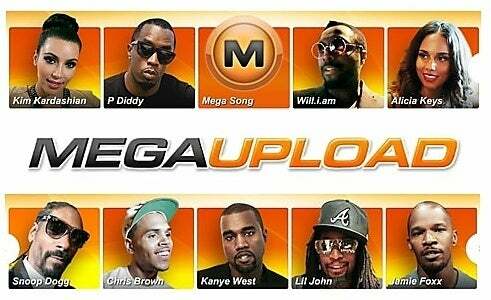 The judge said a discussion about wiping MegaUpload's database could be premature and that a more relevant question was why MegaUpload had not been formally served with criminal papers by the United States. Attorneys on both sides weighed in. Dotcom’s attorney, Ira Rothken, maintained that whereas individuals can be served outside of U.S. jurisdiction, foreign companies cannot, reports TorrentFreak. "My understanding as to why they haven't done that is because they can't. We don't believe MegaUpload can be served in a criminal matter because it is not located within the jurisdiction of the United States," he said, according to the New Zealand Herald. Prosecutor Jay Prabhu alluded to Dotcom as an individual who owned 68 percent of the now shuttered company. This isn’t the first time problems with paperwork have thrown a wrench into proceedings against Dotcom. A month ago, New Zealand authorities admitted they made a procedural mistake before seizing Kim Dotcom’s computers, documents, and a trove of vehicles back in January. Considering the visibility of the case, the incredible amount of resources that have been involved in arresting Dotcom and taking his possessions, as well as the millions of files kidnapped from users -- many of whom were using MegaUpload for legitimate purposes -- you’d think the question about whether a trial against Dotcom is possible would have come up sooner. Dotcom himself is furious that his businesses have been destroyed and says the case is the result of “corruption on the highest political level, serving the interests of the copyright extremists in Hollywood,” reports TorrentFreak. "We have already been served a death sentence without trial and even if we are found ‘not guilty,’ which we will, the damage can never be repaired," he said.